Women have made great strides in the last 100 years. More specifically black women have made even greater progress over the last 40 years. From 1976-2012 black women had the highest percentage of any ethnic or gender group enrolled in college (9.7%), coming ahead of asian women (8.7%) and white women (7.1%). Prior to black women flocking to colleges and universities they were successful entrepreneurs as well. 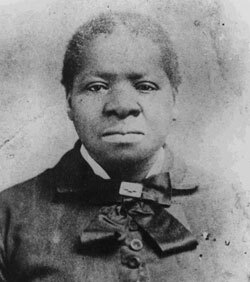 In California back in the late 1800s there was a women born into slavery who rose to great prominence. Born Bridget “Biddy” Mason in 1818 as a slave in Mississippi, her life was one that faced much struggle on her journey to success. Her and her family were bought and sold throughout the states of South Carolina and Georgia before returning to Mississippi. On her return to Mississippi she was bought by Robert Marion Smith who was Mormon. At the urging of Mormon leaders, Smith decided to move west. In 1848 Mason and her group trekked 1700 miles behind a 300-wagon caravan that eventually landed in the Salt Lake Valley. Mason took on a large part while on the trip taking the role of preparing meals, setting up and breaking down tents for fellow travelers. Just three years later, Mason set out on another journey which ultimately was her best move yet. A caravan of 150 wagons set their sights for San Bernardino California to establish another Mormon community. After various back and forth battles Mason finally became totally free along with several other families. Upon gaining freedom, Mason went on to work as a nurse and midwife to support her family. She scrimped and saved every penny to purchase land in what is currently known as downtown Los Angeles Her children went on to sell a part of that land for $200,000. She went on to found the First A.M.E. Church which is the oldest black church in the city of Los Angeles today. She amassed enough wealth to aim much of her attention to Philanthropic efforts towards the end of her life. The Biddy Mason story is one that is not well known. We can learn a great deal from her grit and determination. She went on to accomplish many things all without knowing how to read. Born a slave, bought and sold multiple times to becoming a successful real estate investor, philanthropist and church founder. Biddy Mason’s legacy will live on forever. Older PostJeremiah Hamilton: The Black King of Wall Street or The Prince of Darkness?